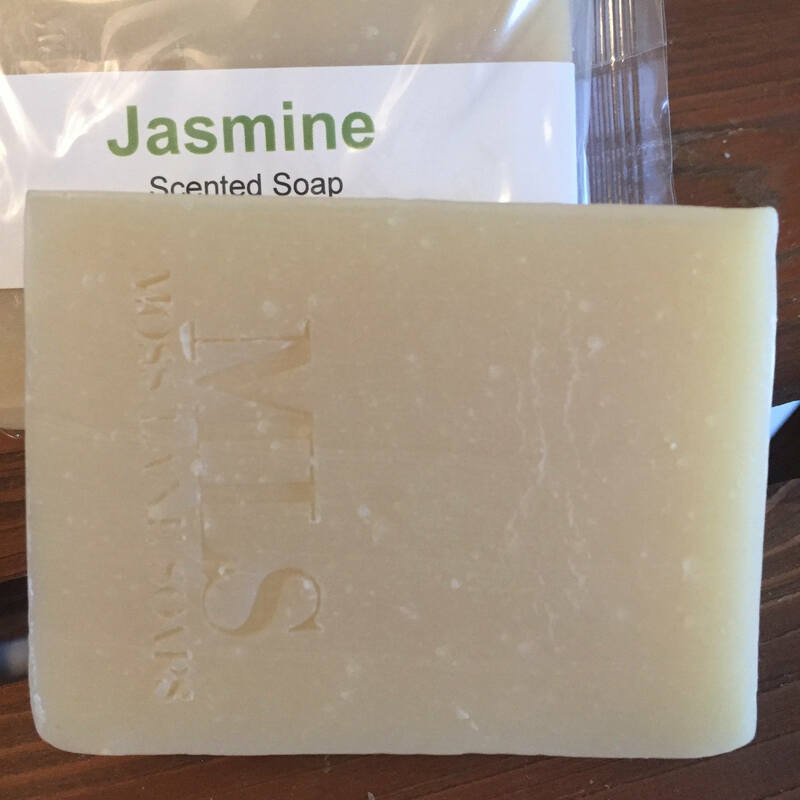 This soap made by the time-honored cold process method is rich in gentle olive and castor oils, along with coconut and palm oils for a rich lather and firm bar. A generous amount of raw shea butter bumps up the luxury in each bar. The result is a bar that’s mild enough to use on your face, but is perfect for a nice, long, hot bath too. 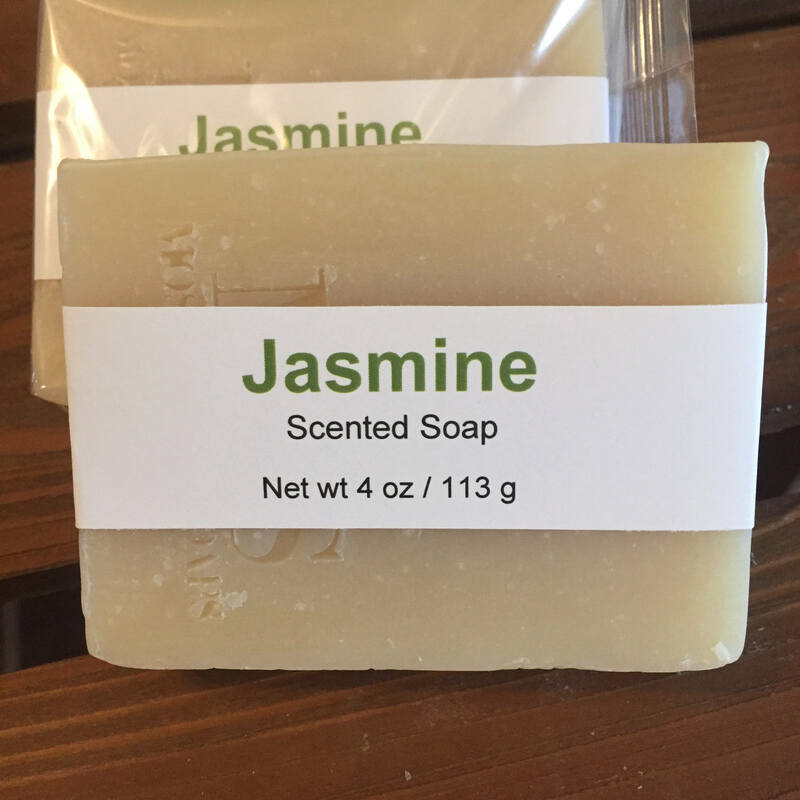 This alluring, exotic scent of jasmine is what you'll find in this uncolored, straightforward soap. 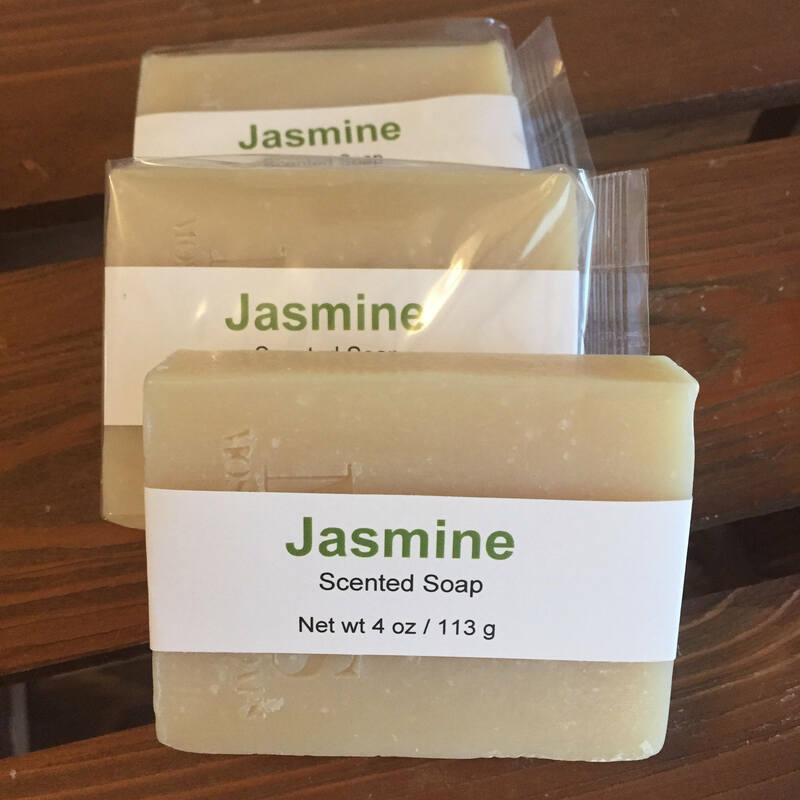 Your soap will be individually packaged in a biodegradable cellophane bag. When it arrives, please store it in a cool, dry, dark place. 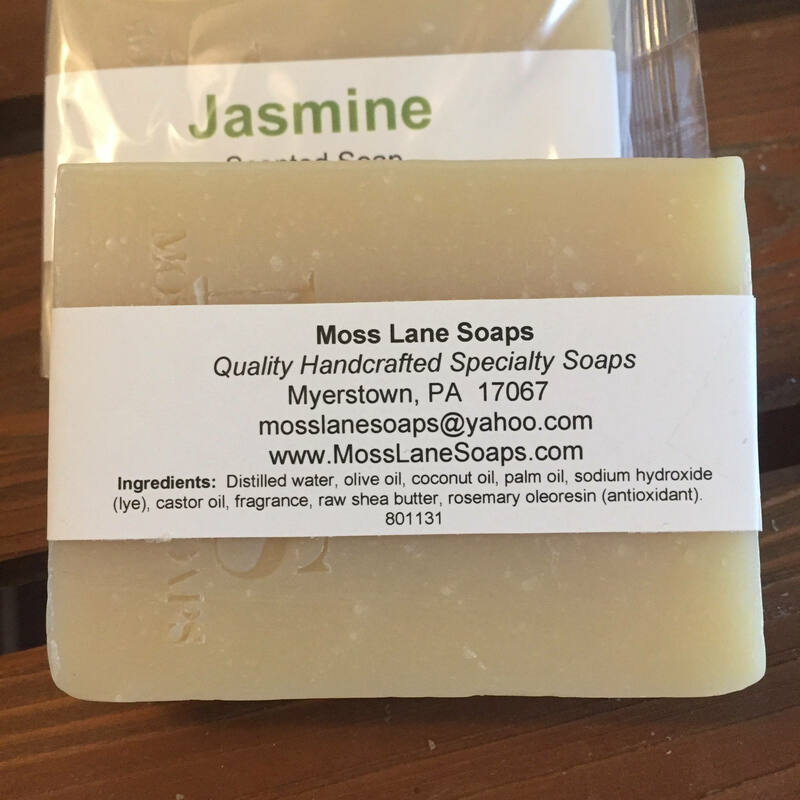 To get the most use out of your soap, keep it where it won't be softened by running or standing water, and give it a chance to dry between each use. Before ordering, please read our shop policies carefully. Your order indicates your agreement with their terms.